Despite having heated grips it' was still difficult to get the temp of my fingers right. These gloves transform my hands tho, keep out the wind & fit neatly inside my normal gloves. Highly recommend for the money. Fits well, very comfortable and makes a slight but noticeable difference to the morning ride in sub 10'C. These are great addition to winter riding. 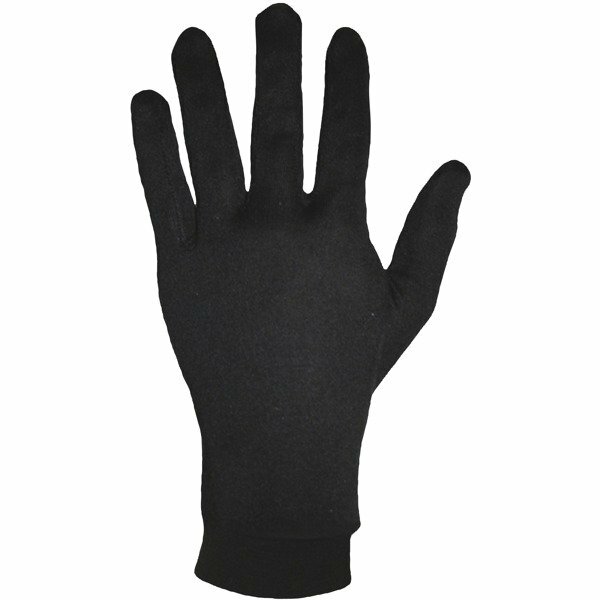 It feels good on your hands, thin, so they wont feel tight in your bike gloves. Adds warmth, and so for the money I think they are a must. My hands are generally cold anyway, so probably thicker fingertips would have been better, but I can't complaint about these. Great inner silk gloves, nice and thin. Have used when tinkering about with bike outside and keep chill off fingers. Can't wear with my usual winter gloves as they just fitted as they are ( have small lady hands), need to get bigger winter gloves so can wear these as well but I can see they will do the job of keeping finger tips from freezing, worth a try. Good gloves but makes your normal gloves a little chunky. Great value and fit well with my new winter gloves. Have kept my hands nice and warm so far. Great value and does the job. Great service as usual. Would recommend. Easy to order and quick delivery. Had the opportunity to try the gloves. No problem wearing them inside my normal gloves and kept hands and finger tips warm. Seem to be good quality and a nice fit. Thin enough to fit under your gloves and provides you with a few more degrees of comfortable riding. Over the last 10 years, Weise motorcycle clothing has built an enviable reputation for producing bike clothing that not only looks good but also delivers in terms of quality and functionality. Whilst some brands may compromise in areas such as stitching and materials, Weise refuse to settle for anything less than the highest levels of quality, a philosophy they've stuck to since the brands creation. Despite this passion for quality of product, the entire Weise motorcycle clothing range represents incredible value for money and features many innovations and technical elements found normally on only the biggest brand names in the market. Weise clothing, for example, features only the very best armour across the range which is supplied as standard, to fit all major impact areas. Their belief is such that the entire range of Weise bike clothing is covered by their 2 year, no quibble warranty. The latest collection is here and in stock in it's entirety, from the extensive range of Weise textile jackets to the full range of bike boots. How does the X-Large relate to glove sizes? ie 9, 10 and so on. The X-Large is approximately 10 - 10.5.